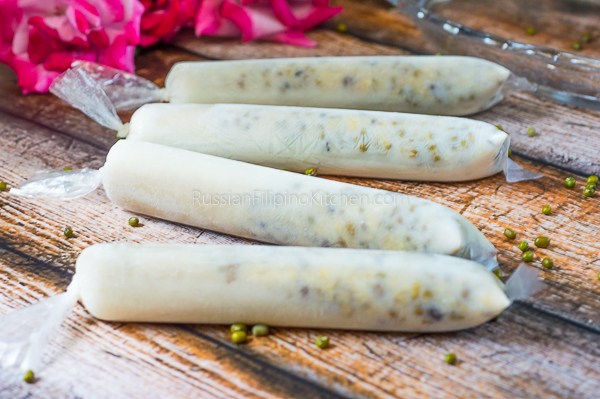 Monggo (alternate spelling “munggo”)ice candy is close to my heart not only for it’s taste but of the memories I associate with my mother. She was known for her special monggo ice candy which were quite a hit when she used to have a food stall in front of the national high school in my hometown. Nobody else sells that flavor so everyone came to her to get a taste of this yummy, icy treat. 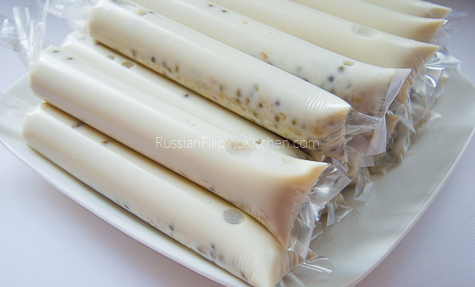 To those unfamiliar, ice candy is the Filipino version of popsicle. 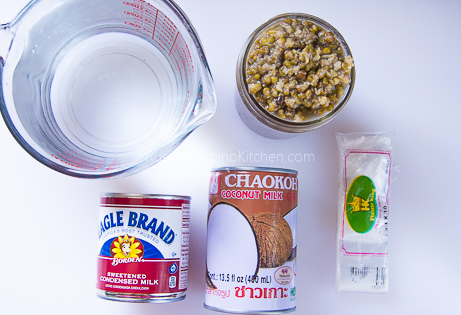 It can be of any flavor and can be plain as fruit juices or more complex as pureed or scraped flesh of fruits, young coconut meat, boiled root crops, cooked beans, mashed up cookies, etc. mixed with milk, sugar, flavor essences, food color, and anything you can imagine. These ice candies are packed in a specialized plastic bags and sealed by tying tightly at the end then frozen before eating. 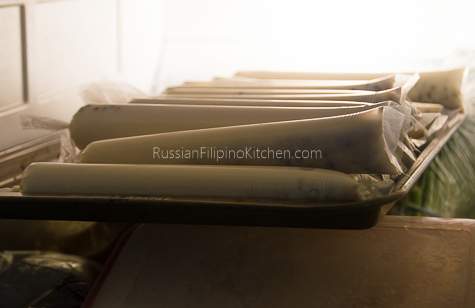 I’ve made thousands and thousands of these ice candies during my younger years in Philippines as I was Mama’s main helper in making them, and I can tell you by experience that it takes skill and practice to tie the ice candy properly. I’ll try to show this to you in the photos below. I could have taken the pictures from another angle but being the sole photographer in this endeavor, I can only show you how it’s done from my perspective. Hopefully, you get the idea and try practicing before actually going crazy with ice candy making. If by chance you are unable to do it correctly and still want to make them, I suggest using rubber bands to tie the ends tightly making sure you twist the plastic a couple of times to make sure it won’t leak. 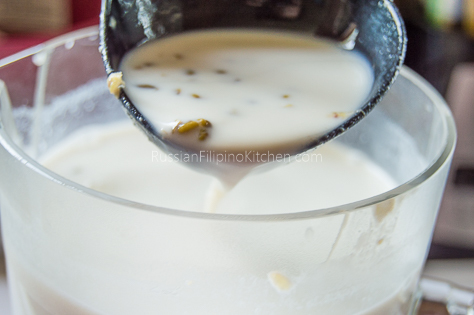 This recipe is a little different from my mom’s, as she sells for commercial purposes, but taste-wise, it’s equally delicious. 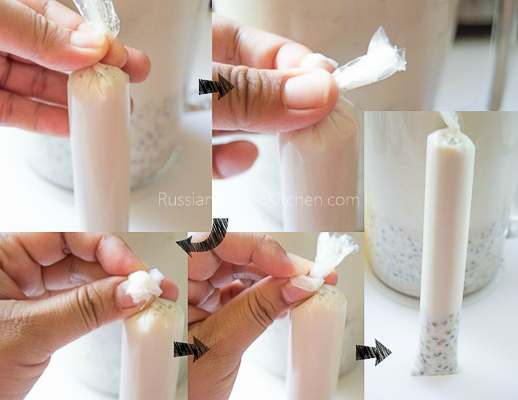 The secret ingredient is “coconut milk” which gives the ice candy a richer flavor. My mom’s original recipe uses powdered milk and white granulated sugar, while I go with condensed milk and skipped the sugar. 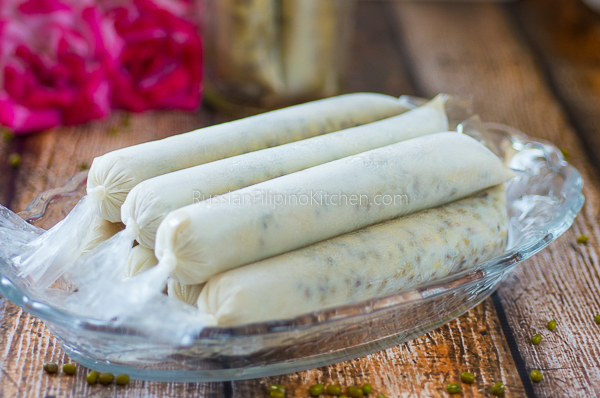 Of course, the star ingredient is pre-cooked mung beans, which marry beautifully with the rest of the ingredients. 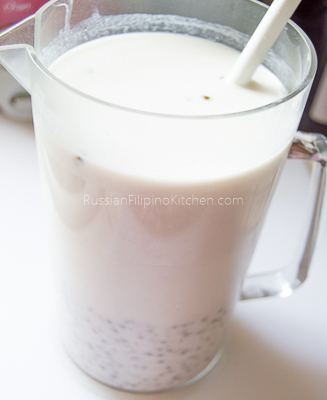 You can use either brown or green mung beans. For instructions how to pre-cook the beans, click here. 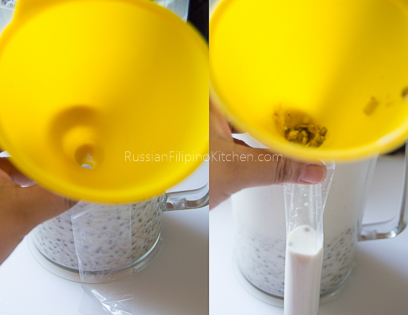 Adjust the measurements accordingly (you’ll need about 3/4 cup dry mung beans to produce 2 cups of cooked beans). When adjusting the sweetness of the ice candy mixture, make it extra sweet so you will still find it still “sweet” tasting once frozen. Somehow, the taste differs between two phases.